Hippotherapy is a physical therapy, occupational therapy, or speech-language pathology treatment strategy that utilizes equine movement. 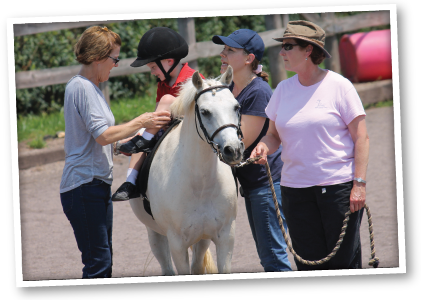 It differs from therapeutic riding in that learning to ride is not the goal. From the Greek word hippos, meaning horse, Hippotherapy literally means “treatment with the help of a horse.” The term refers to how occupational therapy, physical therapy, and speech-language pathology professionals use evidence-based practice and clinical reasoning in the purposeful manipulation of equine movement to engage sensory, neuromotor, and cognitive systems to achieve functional outcomes. In conjunction with the affordances of the equine environment and other treatment strategies, hippotherapy is part of a patient’s integrated care plan. In Hippotherapy, the horse influences the rider rather than the rider controlling the horse. The rider is positioned on the horse and actively responds to it’s movement. The therapist directs the movement of the horse; analyzes the rider’s responses, and adjusts the treatment accordingly. Catherine is a physical therapist and a Hippotherapy Clinical Specialist who works to help people with orthopedic and/or neurological diagnoses. She teaches continuing education workshops for physical therapists and holds a PATH Int’l. 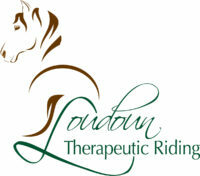 Registered Level Therapeutic Riding Certification.